70% of IT respondents indicated a plan to invest in HCI over the next 24 months. The report also included extensive information about DellEMC's VxRail hyperconverged solution. We covered several highlights from that report in this post. 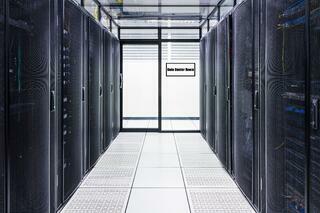 Hyperconverged infrastructure (HCI) is the next generation of data center virtualization. This model of technology infrastructure is driven by software, and all components, such as networking, storage, compute, and hardware resources are all tightly integrated. They are self-contained within individual nodes which are then grouped together to become accessible, flexible, and resilient. A first-generation solution, the VSPEX BLUE HCI software, unfortunately had a few pain points. To fix these shortcomings, VMware and EMC VCE designed VxRail, a hyperconverged appliance offering designed to help organizations with mid-sized data centers that operate in several remote locations help to meet these diverse virtualized computing requirements. 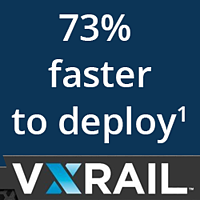 VxRail employs tight integration with vSphere 6.0 and Virtual SAN 6.1, so administrators can continue with the same management tools that they are regularly utilizing to manage a holistic, software-defined data center stack of virtualized computing, storage, and networking resources. VxRail offers organizations many hyperconverged infrastructure benefits. In order to solve common issues with the original VSPEX BLUE offering, the VxRail Appliance creates a cost-effective and highly scalable hyperconverged solution that provides flexible configuration and deployment options. Luckily, VSPEX BLUE customers wanting to integrate their existing environment into the new VxRail Appliance configuration can do so at no charge. By integrating with vSphere 6.0 and Virtual SAN 6.1, the VxRail Appliance is highly scalable, allowing organizations to configure with a mix of flash and hard disk drives, or an all-flash array. This allows flexibility for a wide variety of application workloads, from virtual desktops to end-user file sharing and business applications. It also multiplies the performance by two, due to the software updates. ESG noted that many organizations are opting to deploy all-flash appliances as a way to provide the highest levels of performance for all critical applications. Besides improving the overall performance of the data center, all-flash arrays can potentially enable businesses to operate more VMs in the small capacity, which improves ROI on virtual infrastructure investments and helps drive the bottom line. DellEMC's VxRail is a sophisticated piece of technology that works to overcome many of the hyperconverged infrastructure challenges commonly surrounding similar technologies. NEXT STEPS: While these are some of the benefits of the VxRail solution, you may be interested in learning more about why this hyperconverged solution is receiving high market adoption. 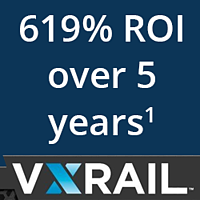 Read our tech brief, "Top Reasons Why Customers Choose VxRail" to learn more.